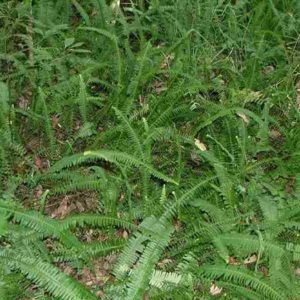 This highly invasive sword fern typically grows in woodland areas. Fronds tend to be dull green in shaded areas and lighter green or yellowish-green when growing in a sunny position. Colonies of this species have invaded vast areas in Kingfisher Creek, most have been removed and follow-up operations are in place.